Paul Pines grew up in Brooklyn around the corner from Ebbet’s Field and passed the early 1960s on the Lower East Side of New York. He shipped out as a merchant seaman, spending ‘65-’66 in Vietnam, after which he drove a taxi and tended bar until he opened his jazz club, The Tin Palace, in 1973. It became the setting for his novel The Tin Angel (Morrow, 1983). Redemption (Editions du Rocher, 1997), a second novel, is set against the genocide of Guatemalan Mayans. His memoir, My Brother’s Madness (Curbstone Press, 2007), explores the unfolding of intertwined lives. Trolling With The Fisher King (Chiron Publications, 2017), syncretizes myth, memoir, personal and poetic symbolism in a quest tale of our time. 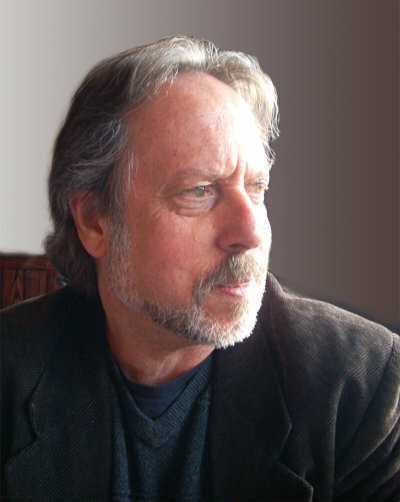 His several books of poetry include: Onion; Hotel Madden Poems; Pines Songs; Breath; Adrift On Blinding Light (Ikon, Inc. 2003); Taxidancing (Ikon, Inc., 2007); Last Call At The Tin Palace (Marsh Hawk Press, 2009); Reflections In A Smoking Mirror (Dos Madres Press, 2011); Divine Madness (Marsh Hawk Press, 2012); New Orleans Variations & Paris Ouroboros (Dos Madres Press, 2013); Fishing On The Pole Star (Dos Madres Press, 2014); Message From the Memoirist (Dos Madres Press, 2015); Charlotte Songs (Marsh Hawk Press, 2015); and Gathering Sparks (Marsh Hawk Press, 2017). Pines is the editor of Juan Gelman’s selected poems translated by Hardie St. Martin, Dark Times/ Filled with Light (Open Letters Press, 2012) and has contributed translations to Small Hours of the Night, Selected Poems of Roque Dalton, and Nicanor Parra’s, Antipoems: New and Selected. Composer Daniel Asia’s settings of Pines’ poems appear on Songs from the Page of Swords, Breath in a Ram’s Horn, and Purer Than Purest Pure (BBC Singers) on the Summit label. Asia’s 5th Symphony, recorded by the Pilsen SO, features poems by Pines and Israeli poet Yehuda Amichai. The Tin Angel Opera was performed by the Center for Contemporary Opera in NYC. Paul Pines conducted workshops for the National Writers Voice and lectured for the National Endowment for the Humanities. A fellow at the MacDowell Colony, Ossabaw Foundation, and Virginia Center, he was also a recipient of an Artists’ Fellowship, N.Y.S. Foundation for the Arts. Paul Pines lived in Glens Falls, New York, where he was a psychotherapist in private practice and host of the Lake George Jazz Weekend since 1984.He died June 27, 2018 just as this book was about to go to press. He was able to hold the final proof copy close to his heart, from whence it comes to you.